Before Override Skatepark opened its doors officially to the public I had a chance to go down there and snap some photos of the setup before anyone had rode it. I brought my lights down with me but in the end the park was so light inside that there was no need to use them for the overview shots. Not wanting to let them go to waste I asked Adam, Mouse and Daz if they wanted to take some riding photos and luckily for me they were up for it. I hadn’t taken any riding photos for a couple of months (as you can probably tell) because of the crap weather we’ve been getting over here (and we’re getting older so it hurts more when you slam). I bullied Adam into doing the rail and a b, Mouse into doing some turndowns and tables and Daz into having a bit of a flow around as he was out of touch due to local parks being about -3°C. 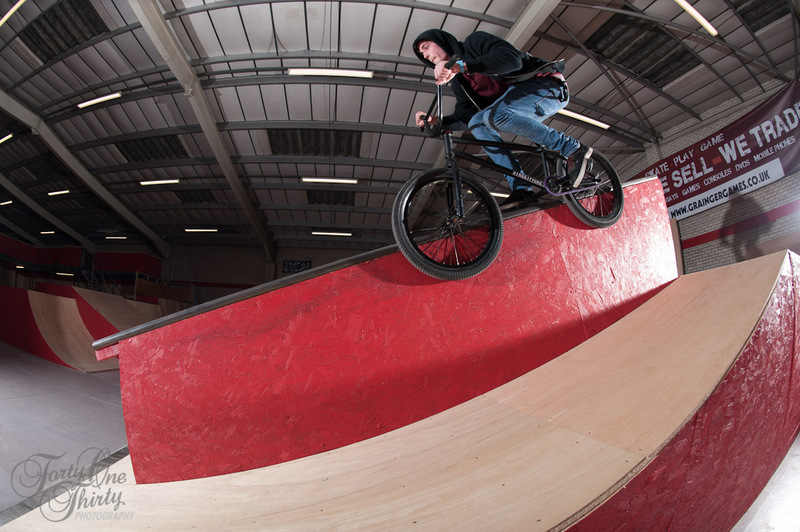 Have a deeks at some of the snaps from the 30 minute sesh.